Rafael Nadal defeated Dominic Thiem in the straight sets “[6-4][6-3][6-2]” to win the 2018 French Open title. Nadal was in imperius form throughout the event but in the final he took his game to another level and never gave Thiem a sniff winning his record 11th French open title. Rafael Nadal has won the 2018 French Open title beating Dominic Thiem in the final in straight sets. 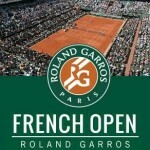 It was Nadal’s record breaking 11th French Open title and his 17th overall in what is a staller career. 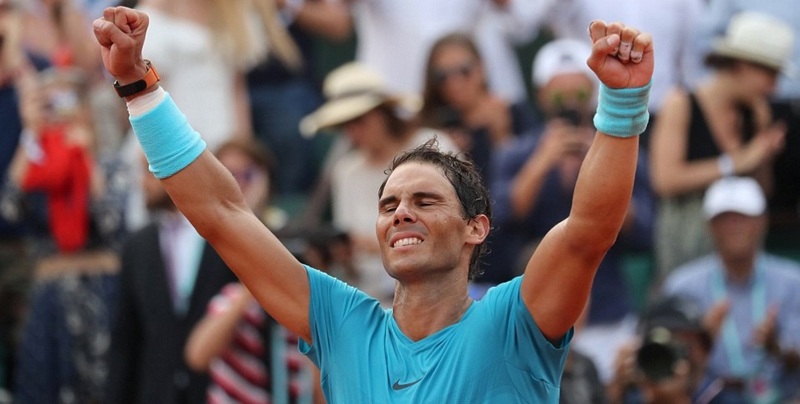 Rafael Nadal felt relieved having won this 11th French Open and he vowed to comeback stronger next year. Rafael Nadal is set to take on 24 year Austrian Dominic Thiem in the 2018 French Open final on Sunday. Its billed as a match where Prince might dethrone the king of clay. Rafael Nadal of course playing his 11th French Open final and with already record 10 in the bag he can put a bit of gloss on his legacy with his 17th career grand slam. Dominic Thiem is no pushover and over the last 3 years he has beaten Nadal three times on clay although lost both meetings in French Open. This final is setup for a grand slam finish and we will have live coverage right here. 24 year old Dominic Thiem hails from Lichtenwörth in Austria and he has been in great form taking his career best ranking at 8. These two has played each other 9 times over clay courts since 2014 and Rafael Nadal come out winner 6 times including 2017 French Open semifinal and 2014 round of 64. 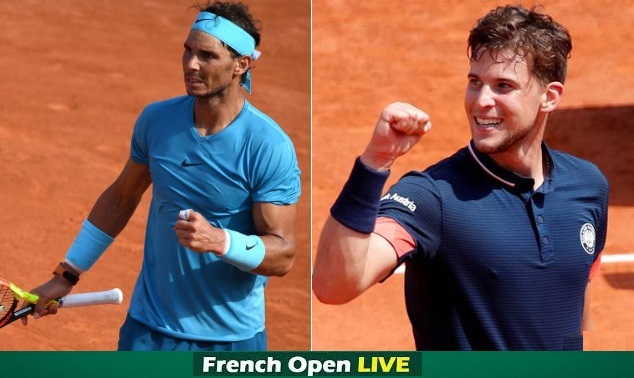 However, just before the 2018 French Open Thiem defeated Nadal in the Madrid masters and he do have a wonderful chance of putting his name in the spotlight beating the greatest clay court player of all times in final on Sunday, 10th June 2018. TV Channels: ITV will have live coverage in the UK and we will be placing live links with ITV coverage and also match highlights after the final just in case you missed the live action. However, Nadal is in great form at the moment and he will go into the final as favourite however of the 51 matches played on clay court in 2017 and 2018, Nadal has only lost twice and both defeats came in the hands of Thiem. 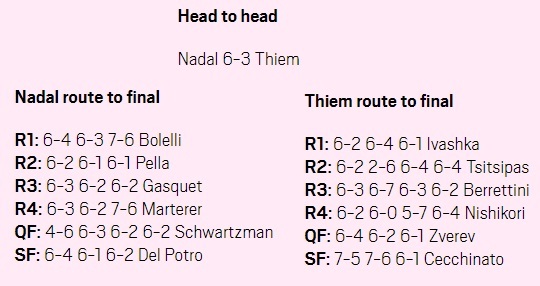 Nadal has only dropped one set in the 2018 French Open which came in the hands of Schwartzman, Thiem on the other hand have been fighting his way through to the finals. Everybody would be hoping for a Rafael Nadal win who can make it unprecedented 11 french open titles more than anybody in history. However support for Rafael Nadal has been increasingly negative at the Roland Garros its as if the crowd want someone to break his winning streak in the finals. Thiem might just be the guy on Sunday.